Did you know that the average homeowner spends upwards of $2,000 annually on energy costs? Affordable Plumbing Heat and Air will help you cut that cost in half with heating and cooling installations designed to keep your home running effectively and efficiently. Our experienced contractors can install a system that will do more than just ensure the comfort of your home. We’ll evaluate your home to provide the best installation options, and help you choose the right unit to lower the energy output of your home, saving your family hundreds in annual utilities. Ask Affordable Plumbing Heat and Air about the best home energy unit for your space and find out how much you can save. 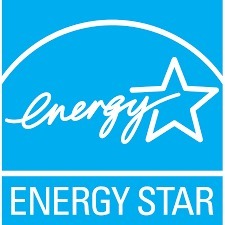 Our goal is to lower utility bills, increase comfort levels at an affordable cost! $65 Furnace Tune Up & Free home evaluation. We do it all, never skimping on time or resources to bring you affordable solutions for all of your plumbing, heating and air conditioning needs. Ask us about a free estimate on your service – get in touch with our team of technicians today! We appreciate your service! Now let us serve you by discounting our services. Give us a call day or night. We are here to make sure the job gets done. Need Emergency Plumbing Service in Lawton & Cache, OK? When the water heater is on the fritz or your septic tank starts leaking, there’s no time to waste. Call Affordable Plumbing Heat and Air for 24/7 assistance with even the most difficult plumbing issues. We serve Lawton, Cache and surrounding areas, and no job is too big or small. Our team has the expertise and knowledge needed to provide an efficient solution to any problem, from affordable plumbing repairs to HVAC services. We will quickly come to your home when disaster strikes to get your systems back up and running. We offer free estimates and military discounts to make getting service more affordable than ever. When you face plumbing or HVAC issues that just can’t wait, choose Affordable Plumbing Heat and Air. Copyright © 2019 Affordable Plumbing Heating and Air Cond LLC, all rights reserved.